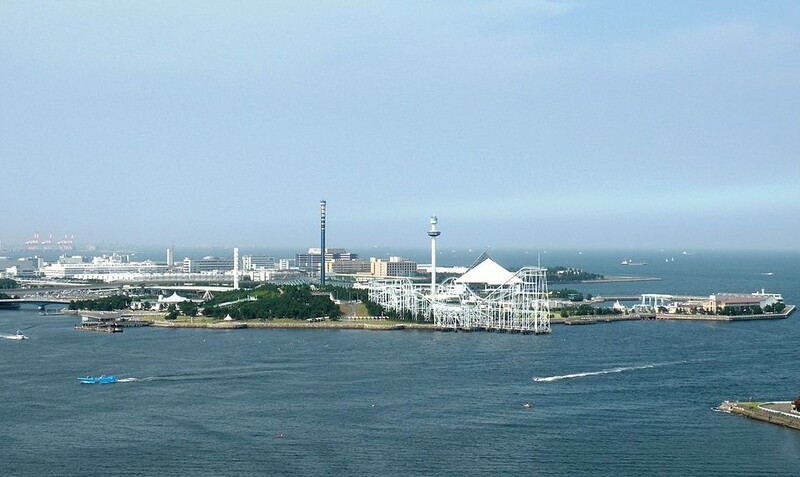 Yokohama Hakkeijima Sea Paradise is near Tokyo Bay on a man made island of 24 hectares south of Yokohama City in the city of Kanazawa-Ku, Yokohama, Japan. Designed for the family, this leisure resort has one of the largest aquariums in Japan, restaurants, a hotel and shopping markets and a huge amusement park called Pleasure Land with many thrilling rides and attractions. Three different aquariums are a featured attraction in this sea-themed resort and these aquariums are home to 500 species and 100,000 aquatic creatures of different kinds. The main area is called the Aqua Museum and this has immense tanks that display whale sharks, white whales, and dolphins in tunnel-like tanks. There are exhibits with animals that live a marine life such as wonderful polar bears, which are not to be missed, and sea otters. Through the undersea viewing tunnel, you can take a trip into the depths of the ocean and see the fish swimming above you and alongside you. It is very exciting and a rare chance to see these creatures at close hand. Do not miss the Fureai Lagoon where you can touch and learn about dolphins, seals, and fish swimming in these beautiful pools. Set in nature and flower gardens, this is a different type of theme resort combining the beauty of nature. Experience the thrill of amazing unique rides at Pleasure Land, the amusement park where Japan’s first surf coaster that stretches out and swings over the ocean and an exciting vertical fall ride Blue Fall which is highly popular. There are so many things to see and do and you can take time out for a stroll in the interesting shopping areas, stroll by the marina, and enjoy a bite to eat at one of the restaurants. There is definitely plenty to see and do and one day may not be enough. Yokohama Hakkeijima Sea Paradise is open everyday with facilities that cater for children and disabled visitors. Designated special areas and equipment are provided for those who need them. Guidebooks are available in English to show you the best way to explore this must visit theme resort. This sounds awesome! But which city is it in? Hi! This sounds awesome. You should give Bruce Wayne a free pass. Not that I know him or anything. Bruce Wayne rocks.